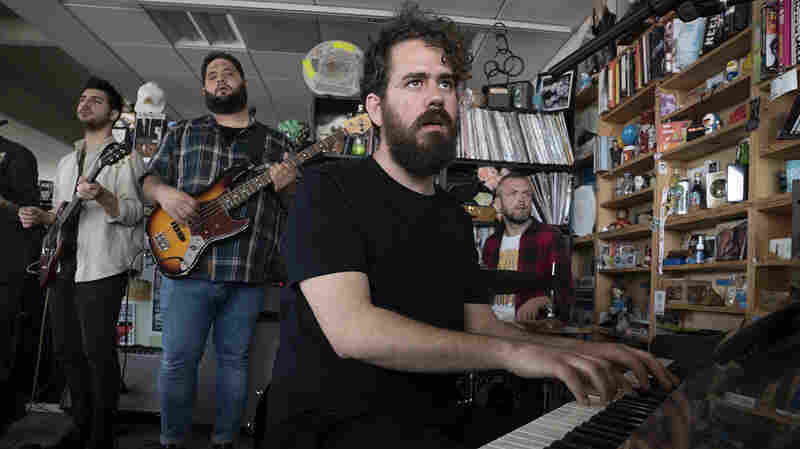 KCRW Presents: My Morning Jacket Watch an intimate live performance of the band's new album, Circuital, on KCRW's Morning Becomes Eclectic with Jason Bentley. My Morning Jacket is one of the best live bands in rock right now. 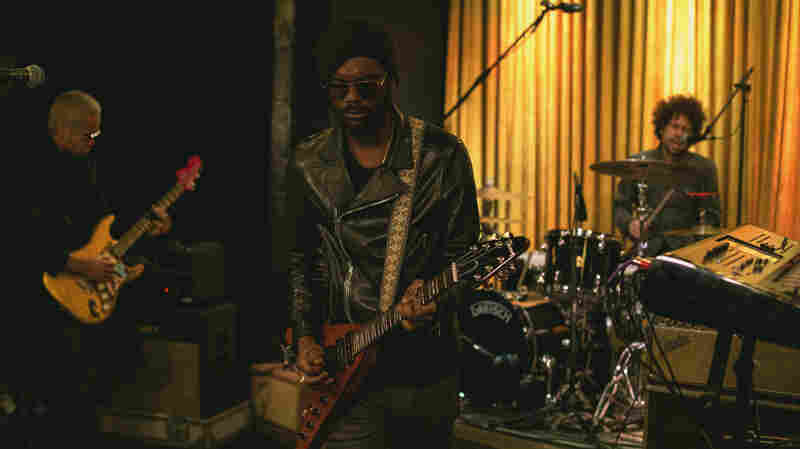 On one special night, KCRW had the honor of hosting a live performance from the band for just 250 people at the exclusive Village Studios in Los Angeles. Singer Jim James and his band are powerful to begin with, so it was an experience of a lifetime to see them play at full intensity in that intimate space. My Morning Jacket played its excellent new album, Circuital, from front to back, followed by a few older favorites. 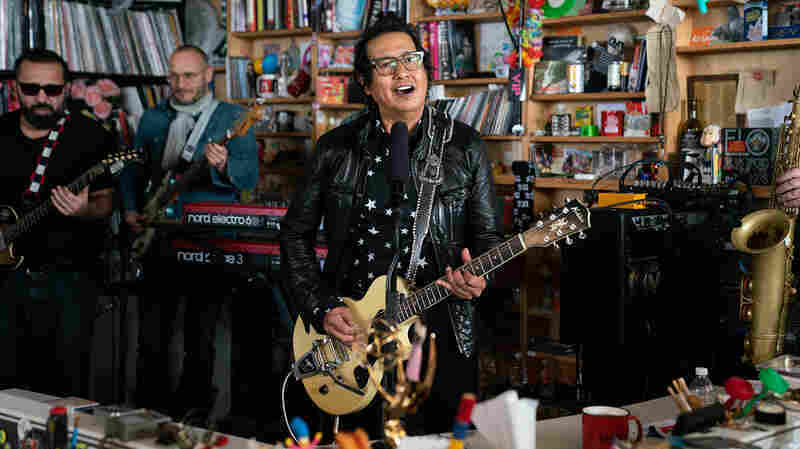 March 20, 2019  The veteran rocker and a backup band from Italy play songs from their album The Crossing, chronicling an American Dream of rock and roll and Beat poetry. 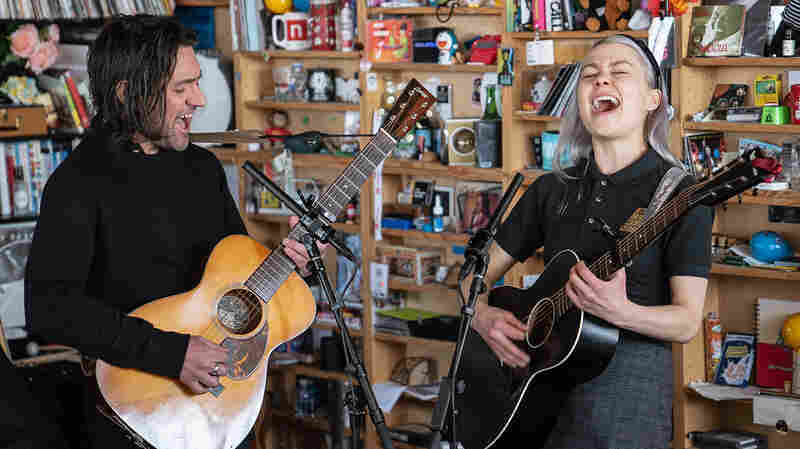 March 6, 2019  Myers replaces her album's roaring electric guitars and electronics with a pulsing string quartet, piano and brushed drums — and uncorks a cover of Kate Bush's "Running Up That Hill." 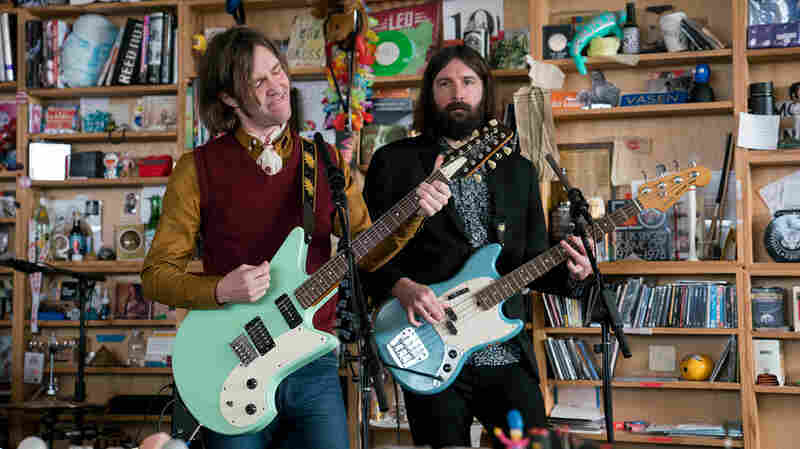 January 15, 2019  Aaron Lee Tasjan arrived in an ascot and mustard-colored shirt, sporting red, round sunglasses and mutton chops. 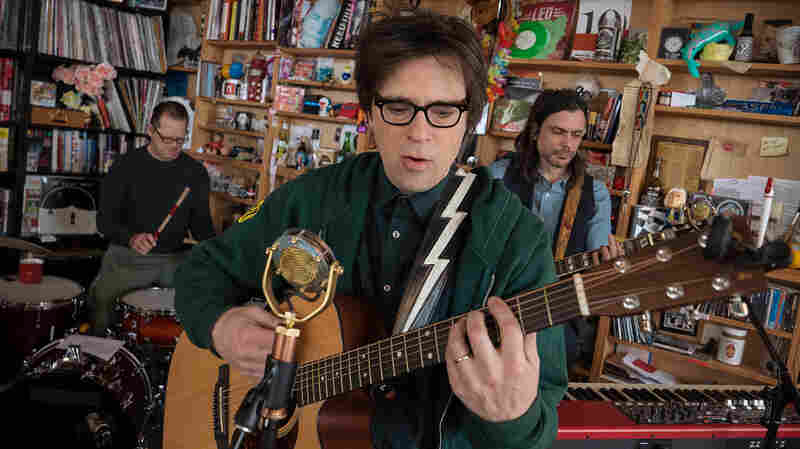 It was a fashionable nod to the psych-pop and rock sound he brought to the Tiny Desk. 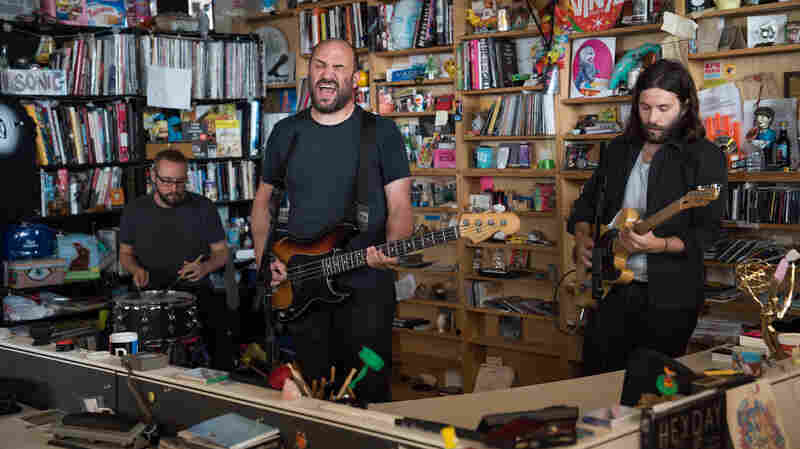 November 8, 2018  No matter how dark or disastrous, there's always been an undercurrent of grace to the music of David Bazan. 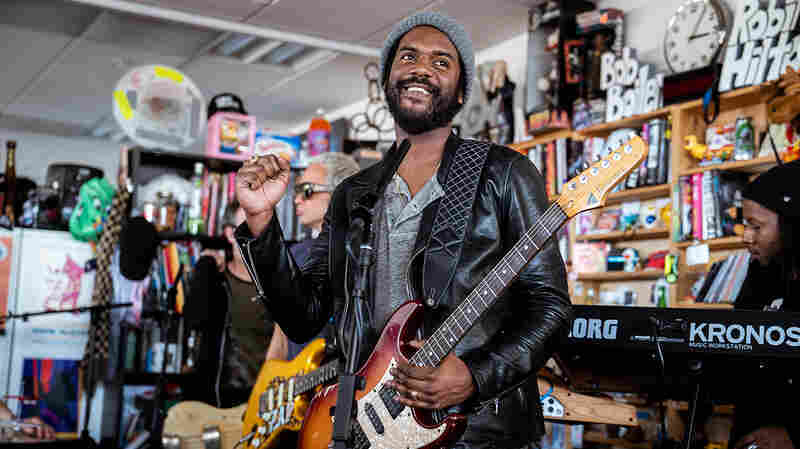 He returns to his Pedro the Lion moniker for this memorable Tiny Desk performance.